One of the biggest barriers to living a frugal lifestyle or sticking to a budget is caving to the influence of well-intentioned friends and family members. These people say that they completely understand your financial woes and support you in your efforts to save money. Despite this, they frequently invite you to go out for dinner or drinks or to pricey events. 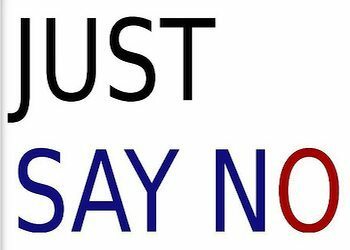 Even after you’ve learned to say no to these people, you have to deal with those other folks who ask you nicely to attend their at-home selling parties or to purchase items from their children for fundraising activities. It can be tough to figure out the right ways to regularly say no to this type of spending peer pressure without alienating your loved ones. Tough, yes, but it can still be done. That won’t work for me but I could do this instead. For example, I can’t go out to dinner with you but I would love to have you over for a cup of coffee and conversation next week. Presenting alternatives is a terrific way to say no to spending peer pressure because it puts the ball back in the other person’s court. It lets them know that you want to spend time with them without spending money. I’m on a strict budget right now. Most of the time your loved ones will actually completely understand this even though they seem to ask you to repeat it over and over again in different situations! Sorry, I can’t make it to that event. You don’t actually have to give a more in-depth explanation than this. It’s tough finding people to pay for these things, isn’t it? This is a great answer when you’re asked to spend money on a fundraising event. You deflect the issue while commiserating with the person who is in the awkward position of asking you for money. Continue the conversation without agreeing to make a purchase. You’ll bond with the person and not have to spend any money to do it. I already ate but I could come just to hang out with you. One of the reasons friends ask us to spend money is because they want us to spend time with them. If you get invited to dinner, you can always go but just get an inexpensive drink instead of an entire meal. Why do you want me to spend on this item? Sometimes it can be helpful to find out why this person is asking you to do something for them. For example, your friend who invites you to an at-home selling party may confess that she is nervous about hosting the party and wants a familiar face there. You can then comfortably go without spending money and the whole situation is resolved. I would prefer not to. This great line is a famous quote from Bartleby, the Scrivener by Herman Melville. It’s a simple and matter of fact way of saying that you’re not going to spend the money without inviting further conversation or debate about it. Set a strict budget for yourself and stick to it. This will help you to remain more committed to the need to say no to these unnecessary expenses. Let your friends and family know in advance that you’re on a budget. This won’t eliminate the problem but it helps. Make sure that you say it clearly and matter-of-factly, not in a way that suggests that you’re complaining or wish that things were different. Release yourself from guilt. The worst part about saying no to your friends and family is that it makes you feel bad. But why? Work on your own feelings about each situation and release yourself from unnecessary guilt. This will make the process of saying no significantly easier. What do you find is the toughest thing to say no to when your friends ask you to spend money on it? I just experienced this personally. I’ve expressed to my family and friends some pretty lofty goals I’m trying to accomplish. In order to achieve these goals, I need to have as much money saved as possible. But that’s what it takes. After a while, people just stop asking. I also think they sometimes realize they’re not being as responsible as they should be with their own money. While it is important to save towards your financial goals, it is important to maintain your relationships too. You may not want/be able to spend NOW, but at some point in the future you will be and you don’t want your friends and family to stop including you altogether because your answer is always no. The authors first suggestion is a good one – I can’t make it to dinner/on the trip/to the mall, but i would love to have you for coffee/take a walk/go to the beach etc. Reaching your financial goals is sweet, but losing your relationships on the way can sour it. My friend keeps trying to get me on a few things … like Canadian Netflix and the NHL network. I keep telling him that if you encourage a company to produce a poor product then they’re going to continue producing poor products! i’m with anna here: be careful you don’t accidentally drive your friends away completely. they might tire of you never wanting to go out to any place they suggest and just cut you ‘out of the loop’ entirely. some of the tips for frugal living are things like ‘organize a garage/bake/whatever sale’. well, you can’t expect your friends to show up and buy things at *your* sale if you won’t return the favor at *their* sale.